Eero Saarinens Tulip table from 1956 for Knoll is, and has been on my wishlist for a long time. 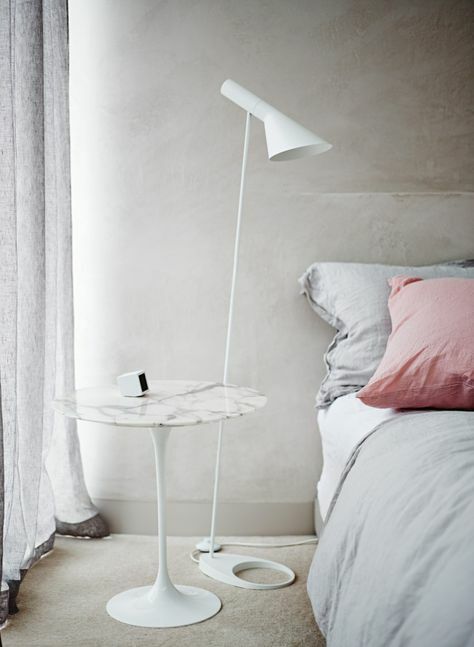 I have a weak spot for marble and round forms so Tulip table is for me PERFECTION in every way. I have a small in Nero Marquino marble that I absolutely love, but the dream is a big one in Arabescato marble for the kitchen. Maybe when our kids are older and we don’t have to worry about food or drinks being spilled everywhere and all the time. Don’t give up on your dreams right?! Even though Eero died young ( 1910-1961 ) he has had a huge influence on modern design and architect. He was also son to the great Eliel Saarinen. His most famous work includes the Tulip table and Tulip chair, TWA Flight Center and Gateway Arch. 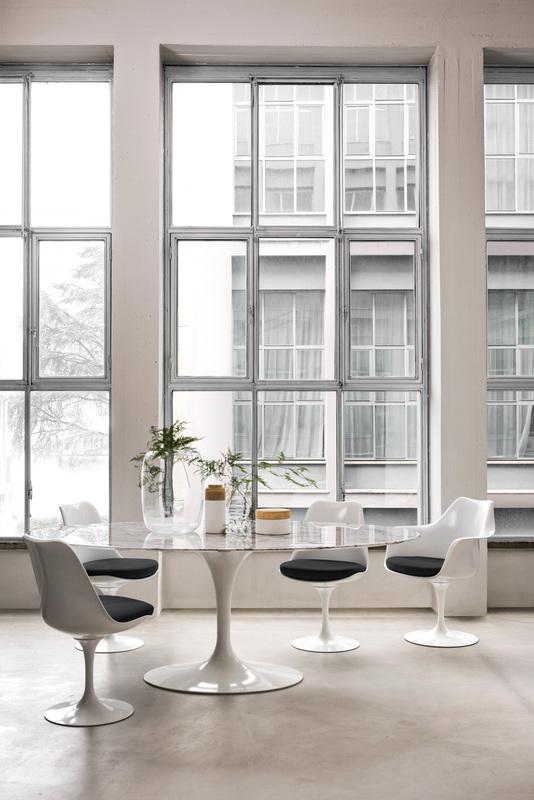 Artek sells Knoll in Finland.